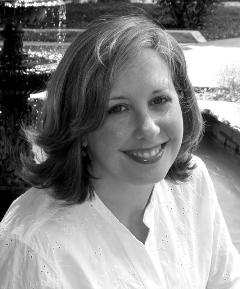 I am very excited to welcome Alison Atlee here to A Bookish Affair today! A notion exists out there in the world of fiction-writing: the story you want to tell in your book already exists, fully formed, within your subconscious. Getting the story to the page is merely a matter of accessing that subconscious knowledge enough times. 1. Lillian hearts Tennyson: Why did I have Lillian Gilbey give John (the male lead in The Typewriter Girl ) a volume of Tennyson’s poems? Wealthy Lillian sees John as potential husband material, but he needs, in her opinion, “remodeling,” including some cultural education. Tennyson was a quick choice when I was drafting, little thought behind it other than knowing he fit Lillian’s tastes—contemporary and intellectual, but not too much of either of those. Much later, when my editor at Simon & Schuster asked me to add another scene with Lillian, I wasn’t sure what to do, but I started by browsing a volume of Tennyson. Turns out, Tennyson wrote a poem entitled “Lilian.” Reading it filled me with glee because I knew my Lillian would hate it, and that became the basis of the new scene. 2. Buttoned Up: I have a particular fondness for the fitted, buttoned bodice silhouette of the late-Victorian era, so when Betsey’s new supervisor requires her to wear a uniform, of course I made sure it had lots of buttons going down the front. But I didn’t know those buttons would keep turning up in the story. By the time I reached the last chapter, I realized Betsey’s journey and development as a character could be followed through her buttons. 3. This is embarrassing: Betsey needed to have some job, and I picked typewriting probably because I was in front of a keyboard. “I can always change it,” writers tell themselves, but sometimes the Jell-O sets before you get to stir in the canned fruit. The qualities of a good typist, what it took for a poor woman in Victorian England to learn to type and then get a good job doing it—those things helped me discover Betsey’s character. Still, when my agent was discussing revisions with me and suggested changing my beloved-but-awful original title to “The Typewriter Girl,” I knew: “There needs to be a lot more typing in this book!” Having that one detail helped me revise to a stronger character arc for Betsey. Maybe my subconscious knew all along I was making good choices. Maybe it needed time to make sense of what I was throwing at it. Either way, the discovery that makes things snap together is pure magic for a writer. Giveaway Winners and Bookish News!